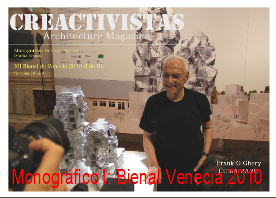 Venice Design Week 2010, taking place 8 - 17 October in association with the Architecture Biennale, is a series of events and exhibitions. One of these is the International Design Award open to designers, architects, and creative people of all ages. 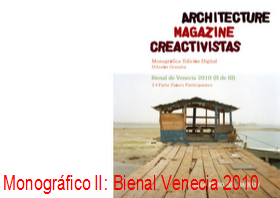 The initiative is sponsored by the City of Venice and companies that produce design objects. It is supported by design professors of international schools, colleges and universities. INTRODUCTION Human beings have always been "making things"
"Making things" is one of the strongest and oldest human impulses. It remerges in one’s free time and at moments of escape, as when, after a dinner with friends, we are surprised to be playing with the metal cage of a champagne bottle to produce bizarre anthropomorphic figures, improbable gadgets with no purpose or practical function. Or how we act on the beach, when our mind - even free of thinking about utilitarian goals - still commands the hand to "do something". Obedient, the hand digs, separates and selects the whitest stones, plaits and knots strands of dried seaweed. It is a natural inclination to manipulate matter for our benefit, enjoyment, and aesthetic pleasure. Then came technology, which offered tremendous possibilities for quantitative replication of ideas and objects, and, over time, created a rating system of classification as effective as it was incomplete: the number. with increasing industrialization and mass production of objects, they lose connection with their creator, the warmth of "handmade," and fade in terms of history and identity. The visible effect is that objects are designed and manufactured not from a free analysis of the expressive material possibilities and its processing techniques - involving, for example, integrating the methods of arts, crafts and industry – but starting from technical references typical of mass production. To date it appears that Technology is more important than a Human Being, and this kind of production process must take precedence over what the designer "has to say". - must have a strong symbolic significance and promote an active-creative relationship with the end user. It is possible to work on any set of tools or objects of daily use, in compliance with the objectives outlined in the paragraph purpose and evaluation criteria. The 2010 edition of the International Award of Design Week is an important opportunity for growth and comparison which Venice Design Week wishes to bring to the attention of students and professionals. It is possible to participate for the international Design Week Award both individually and as members of a group: in both cases, all participants will be required to deliver their own registration form, and in the case of groups, to nominate a group leader. - clear and comprehensible explanation of the project objectives. - user experience: symbolic connotation, active-creative relationship with the end user. - quality of processing and description, clarity of content. The purpose of this competition is to select and reward a set of objects (minimum three objects) simultaneously employing technical systems related to art, craft and industry. delivery of submitted items must be by 24 September 12 p.m.
www.designweek.it through the site by 12 p.m., September 10, 2010 - September 24 (Italian time). The winners will be announced during the Design Week with a public ceremony staged during 8 - 17 October in Venice. Those interested should submit their applications through the website www.designweek.it 10 September, 2010 – 24 September 2010, 12 a.m. Italian time. Applicants can participate either individually or in groups. The choice of one precludes the possibility of participating in the alternative competition mode. It excludes the possibility of changing the mode of participation after having submitted the application, under penalty of disqualification. Online registration. For online registration, it will be required to accept all terms and conditions of the competition. After completing the registration process, you will receive confirmation of registration. Presentation of submission. Each participant (individual or group) may submit up to 3 prepared in horizontal format A3. The description of the project, in A4 PDF files and rich text to a file containing more than 800 characters (.doc / .rtf /.odt). The presentation of the designer or design team in A4 PDF files RTF text file containing maximum 800 characters. All work submitted will be checked by the administrative secretary to ensure that they are formally valid and do not contain contents that are contrary to public order and morality. The selected presentations will be announced by October 17, 2010. The projects submitted must meet the requirements of originality. The participants must ensure in writing that the Works submitted are original, personal and do not infringe the intellectual property rights of third parties. Moreover, if the Work have already been presented and disseminated or have already been patented or registered, this must be specified in the project description. The intellectual property rights of the Works presented remain those of the respective authors who cede to the organization of the award only the right to disclosure and publication in any form and in any media. The participants give their consent for the work to be publicly available and used in promotion of the the 2011 edition in advertising and public relations associated with the Design Week prize. Participants agree to submit prints of the projects to the organization if required for a later exhibition. The committee of international design award of Design Week is composed of professors from European universities and design schools and a representative of the Venice Design Week organization. Jurors will view the projects the first week of October and will nominate the winners. The awards will be announced during the Venice Design Week in October. All participants are invited to the closing ceremony of Venice Design Week to be held 17 October 2010 in Venice. The jury reserves the right to award the first prize only to a project/projects satisfying the evaluation criteria. Moreover, it will not be assigned to any project if the jury believes, at its discretion, none of the entries meet the criteria. The jury reserves the right to assign each of the awards to two or more projects that are considered as meeting the criteria. The jury will award ex-aequo. Other awards or honorable mentions can be awarded. By completing the registration form online site, participants of the competition agree to the terms expressed in www.designweek.it under privacy.